For many companies, gauging employee morale is a nebulous process that feels almost artistic, relying on the intuition of people involved in building workplace culture. In fast-growing startups, agencies and remote working teams often great actions doesn’t get enough and lousy experience too late attention. Moodbot claims to fix this – on a weekly basis. 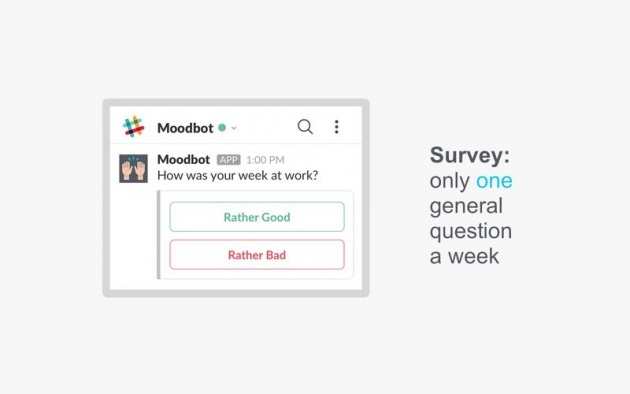 Moodbot works fully automated within Slack: weekly surveys, voting and sharing results with insightful participation- and mood-trend diagrams.